The biggest names in monster trucks hyper exotics! Mud pit, car crushing, tractor pulls, Truckasaurus Rex! Kids tickets start at only 5 bucks! Sunday (and Saturday) at the Astrodome! 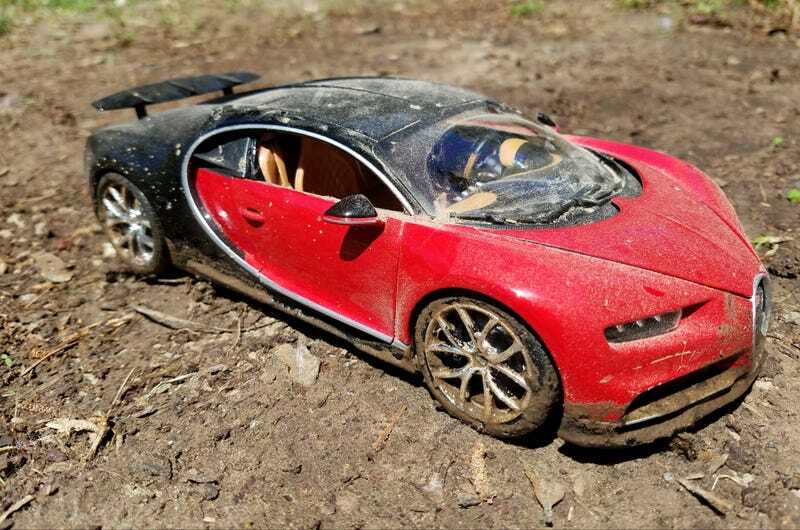 Here we have a 1:18 Bugatti Chiron by Bburago in it’s natural habitat. Tons of power and AWD eh? Classic recipe of an old school Group B monster. After some full attack runs, then it’s time for the classic exotic car fancy photo ops. A little dirty but meh, you can’t really tell.